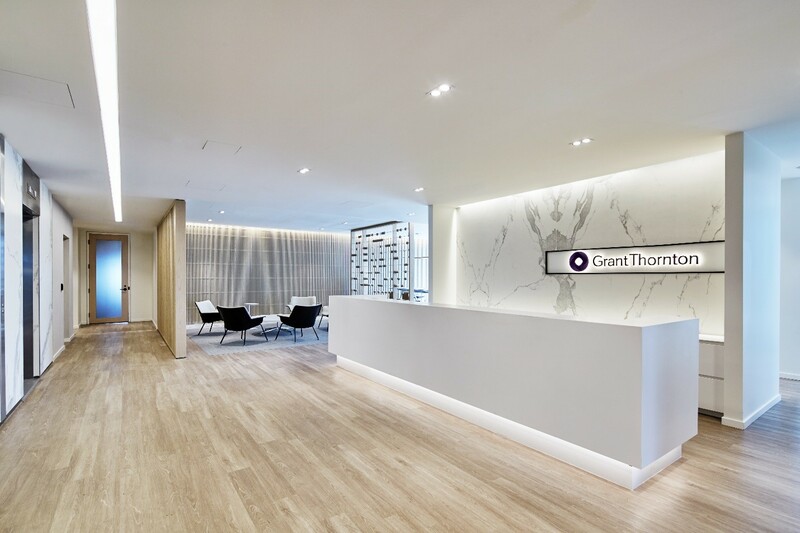 Grant Thornton - Grey Cardinal Management Inc.
A 37,000 sf office space fit-up on the 10th and 11th floors of the newly opened Nova Centre. This office space was designed and built to encourage collaboration and implement technology. All exterior offices featured a demountable glass front, and all interior offices and meeting spaces are fully demountable to allow for future expansion. Technology was implemented through a full Crestron system with each large meeting room able to control television screens, projectors, lighting, and motorized window shades from a single tablet. Movable partitions were installed to connect 2 large meeting rooms with the kitchen lounge, providing a space for large group gatherings. Grey Cardinal was also responsible for managing the decommissioning of Grant Thornton’s former office space in Cogswell Tower.